When booking an event with Your Halls Life, through our third party booking system, Bookitbee (managed by LIVE IT) you are reserving a place at the event and signing up to these terms and conditions. You will receive an automated email to confirm your booking, with your event ticket attached. The duration and location of the event will be specified in the event description for each event. By completing an online event booking you are indicating that you will attend an event organised by Your Halls Life. Places on events are booked on a first-come, first-served basis. Your Halls Life reserves the right to prevent and refuse entry to limited capacity event to those without a valid ticket. If an event is full you may be added to a waiting list for this event. Please contact Your.HallsLife@upp-ltd.com in this instance. Your Halls Life does not guarantee that all or any of those held on the waiting list will be offered a place on the event. During the booking process you will be asked to provide your student ID (to confirm that you are a student), name, email address and in certain cases (i.e. where payment is taken or the event occurs off-campus) you may be asked for your address and phone number. These details will be used by the Your Halls Life team to contact you with any changes, cancellations or reminders of the event, or to action any refunds where necessary. We will use your personal data to confirm that you have signed up to attend and sign you in at the event (for instance on a door list) and to send you tickets. Please note, your booking details and campus card may be swiped for us to monitor and track attendance to events. This information is retained for a period of two years and is used to track progress of individual events and make improvements to the programme. If you have any concerns over this please email Your.HallsLife@upp-ltd.com. 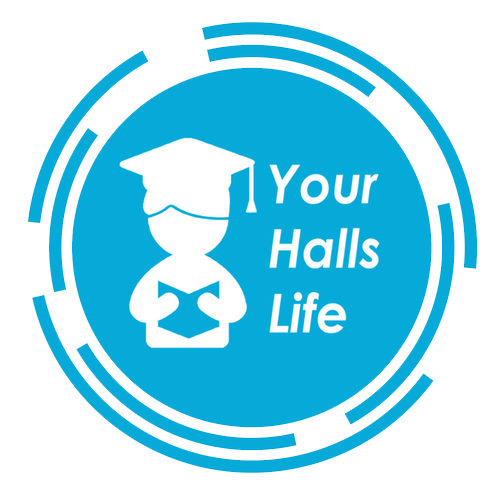 Your details will be shared with our Your Halls Life team and UPP staff who are helping to run the event and photos may be taken of you during the event and later used on social media – for which you will be asked to complete a consent form. If you have any questions or issues relating to this, please email Your.HallsLife@upp-ltd.com. You may be contacted by the Your Halls Life Team to complete a photography release form digitally. In signing up to this event you commit yourself to attending. If you can no longer make the event, please let the Residence Life Coordinator know by emailing Your.HallsLife@upp-ltd.com minimum of two working days in advance so that your place can be offered to another resident - unless the absence is due to sickness. Please note, that in line with our code of conduct (below), any persons displaying aggressive or inappropriate behaviour will result in you being removed from the venue, YHL Programme and will be flagged to site management. The event organiser has the discretion to remove you from the event on the grounds of excessive intoxication or other harmful substances. This will be flagged to site management. Please note this event may not suitable for those suffering with food allergens. We apologise for the inconvenience. Any medical conditions that may affect you during the duration of the event can be disclosed to the Residence Life Coordinator ahead of the event. Please note that whilst alcohol will be served at the event, Your Halls Life does not endorse the consumption of alcohol and we reserve the right to both refuse entry and remove anyone showing signs of excessive consumption of alcohol and inebriation. Treat other members of the group, YHL Reps and staff nicely. It is up the individual if they wish to disclose any medical conditions that may affect their wellbeing for the duration of the event. The individuals are responsible for bringing any necessary medication along with them. Any aggressive or inappropriate behaviour will result in removal from the venue, YHL Programme and will be flagged to site management. The event organiser has the discretion to remove individuals from the event on the grounds of excessive intoxication or other harmful substances. This will be flagged to site management.